There are lots of great orienteering events taking place both locally and nationally in the coming weeks. So just in case you haven't heard about these events below is a brief summary of what is on offer. Lots of diverse and testing terrain to choose from. CorkO is always well represented at the Provincial and National championships so if you haven't already entered these events then why not consider donning your club colours and joining your club mates in the start box. Furthermore, if your navigational skills are a little rusty then our training weekend on the Sheep's Head peninsula is the ideal opportunity to practise your orienteering techniques in a relaxed and social setting in advance of these competitions. Hope you will consider joining us at some or all of these challenging events. Hone your orienteering navigational skills by joining us on our training weekend. With a full day dedicated to training on the open terrain on the Sheeps Head you will learn or refresh the key orienteering skills. The following day you will get to put your skills to the test at one of our Munster League events which will take place on similar terrain. 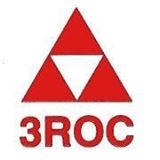 3ROC are staging the 2016 Leinster Championships at Carrick Mountain, Glenealy, Co. Wicklow, on Sunday 17th April. The area was used for the Leinster Championships in 1986, 30 years ago, to mark the 10th anniversary of 3ROC and we’ll have a new map of the area to celebrate our 40th anniversary. Entries close at midnight on Sunday April 10th. CorkO will be keen to enter some Rebel Relay Teams in the Irish Relay Championship and would encourage all attending to give the relay race a go. It is a fun and social event and a great why to meet fellow orienteers who are always willing to discuss post race analysis with the competitors they've been racing and chasing on the day. Location: Various locations around Cork city and county. With 11 events in our Summer league there will be a variety of destinations and challenges to suit all for beginners to seasoned orienteers. This also means our club will require a lot of planners, controllers and organisers to ensure the league runs smoothly. So if you would be prepared to get involved and help in anyway we would be thrilled to hear from you.